Kane and Lynch 2 Dog Days has been treated with mixed reviews and less than satisfied followers. Short story mode should be a thing of the past especially when its something that sells your game, but who are us to tell that to IO Interactive?. Apart from the ugly camera and massive censorship, the game is buggy also. If you are still in the midst of installation hurdles or getting the game smooth online, you can refer to the workarounds listed below. You start story mode of the game and right after the cut scene, the game crashes to desktop. Try lowering your settings few notches, and see if that helps. Also do an integrity check via Steam to make sure you have all the game files installed and the game is not broken. Go to Options – Controls – Steadycam to disable it. Its actually part of the game but if you one of those, who don’t like it, just disable it from menu. If your game crashes when you join a multiplayer lobby then it may be case of broken game. Check if the game’s integrity from properties and re-download the missing files if any. If your game crashes on start up, you may need to update your graphic card drivers, and disable any anti cheat tool like UAC, you have installed. Alternatively, You can give the workaround below, a try. You will need to download Open AL Fix for Kane and Lynch 2. Originally this fix was for Unreal Tournament 3, but seem to work for Kane and Lynch 2 Dog Days as well. Or You can also find these two dll files from your Windows and paste them in specified folder. You will find them in “OS:/windows/system32”. Now paste them where your Kane and Lynch 2 Dog Days is located. This will fix the game crashing at startup issue. 1. Start the game as admin. 2. Start the game in compatibility mode, XP SP 3. 3. Disable applications conflicting with the game. 4.Right click the game -> Properties in Steam -> Un-check the Steam community in-game feature. Log out of the steam, and restart. You can turn off your mic so that it doesn’t transmit all the time. 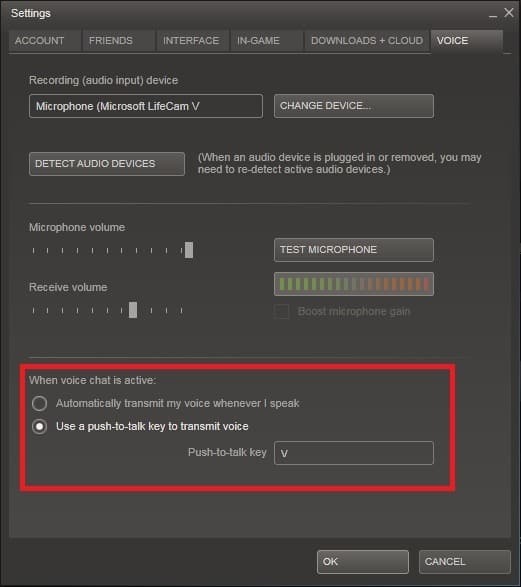 Go to Steam Settings and click on Voice tab. There you will find an option to use Push-to-Talk key for voice, check that and assign a key. 8# Kane and Lynch 2 Virus Warning ? If you get Virus warning when you start Kane and Lynch 2 Dog Days, you should know its a false positive. If you own an ATI card, Kane and Lynch 2 may turn out to be bad experience for you. Poor performance, stuttering and consistent lag will get you cursing the devs but, real problem is your card. You can fix these issues by downloading ATI Catalyst Drivers v9.4. Feel free to comment if you face any other issue.